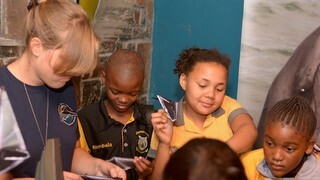 Namibia has a unique and diverse marine life and we do our best to share the information we discover with the public, and especially school children. 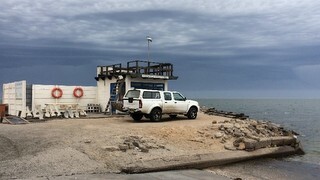 Since 2012, the NDP has run a small Environmental Office in Walvis Bay, which has recently moved across to new premises next to the Walvis Bay Yacht Club. We are currently seeking funding to close in the courtyard area to build a newer bigger education centre to the benefit of all. 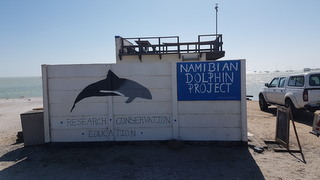 The NDP Environmental office is a place where people can come to meet the team, learn more about Namibia’s marine life through our displays, and tell us of interesting sightings they might have made. 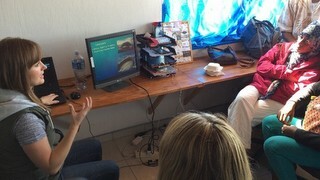 The NDP team give regular public talks about the latest available information we have on Namibia’s marine life and are always working to share this information with people. 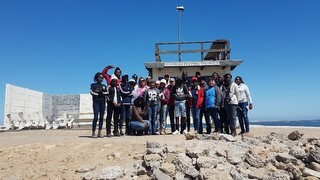 Some of the talks we give are organised by ourselves (especially in Walvis Bay), some are invited (such as the Swakopmund Museum and National Aquarium of Namibia) and some are hosted by other groups, such as the MFMR, Namibia’s Ministry of Fisheries and Marine Resources. 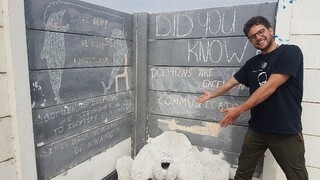 We’re always happy to talk about our work and marine conservation, so please get in touch if you’d like us to give a talk at your function or location. 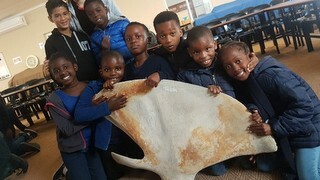 We also conduct school visits to give talks and demos and get involved with marine trips, beach clean ups and other marine events as much as possible. 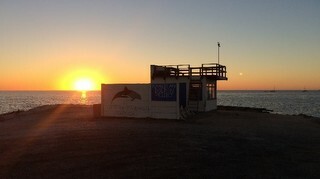 We also regularly publish articles and share information with the local and international media with interesting findings and events, especially about whale and dolphin strandings.